A hired hand won’t respect a ranch owner who didn’t start out doing the dirty scut work, and riding fence is a crucial rite of passage along those lines. At least that’s what Heather’s mother says. Heather would much rather be doing anything other than toiling away all day in the middle of nowhere, but she loves to spend her days with the magnificent horses, even if it means riding fence to keep the smelly cattle around. Getting to spend all day in the saddle is just about the only perk of working for her mother on the ranch. But Heather’s world is turned upside down when she discovers that a gang of cattle thieves is running amok in the pasture, stealing her mother’s precious cows. Alone and far from help, Heather finds herself kidnapped and held hostage by the ruthless band of miscreants. Her only comfort comes from Jack, a reluctant thief who happens to be the boss’ son. Held captive in a different way, he alone protects Heather from the unwanted attentions of the other men. But will it be enough? Will her mother meet the rustlers’ demands and secure Heather’s freedom? And what will she have to endure in the meantime? Author's Note: This book was previously published under the title The Cowgirl and the Cattle Thieves. If you have previously purchased that book, do not purchase this one as well because the only changes are the title and the cover art. Heather is doing her rounds checking the fence line when she comes across some cattle thieves. 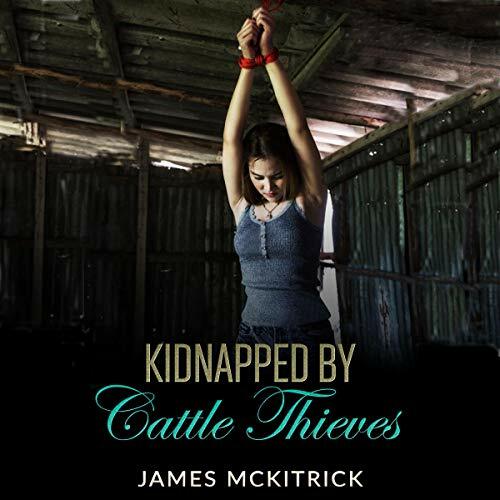 They kidnap her and hold her, her families cattle, and her horse Billy for ransom. Jack is the young man his abusive father assigns to watch Heather. His father believes their hostage will bring them $2 million dollars if Heather doesn't think her mother will pay the money. As Heather is held captive, she begins to develop a friendship with Jack and discover they have more in common than just bad parenting. Kelly Morgan does a great job bringing the gritty voices and personalities to life, while permitting you to understand the fear and frustration of Jack and Heather.